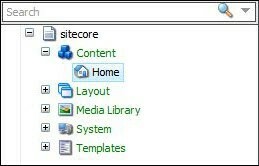 Site-core is a digital experience software which is globally used by a large number of organizations. It combines web content management with marketing automation, e-mail marketing, social media, e-commerce, optimization and analytics into a single and unified platform. It is a company which offers two main products such as Digital Marketing System (DMS) and a powerful CMS – Content Management System. It has around 730 global partners. In Dubai, it has been adapted by different industries such as healthcare, retail, technology, hospitality, energy, financial institutions, manufacturing industry etc. This digital experience software has more benefits than you may think of. Other than the content management, it works for building marketing campaigns, content optimization, personalization, tracking and analytics. Its user interfaces are supportive on almost every modern day browser. Out of the two main products offered, I will be discussing the Content Management System in detail; how it benefits the wide range of businesses all around the world. 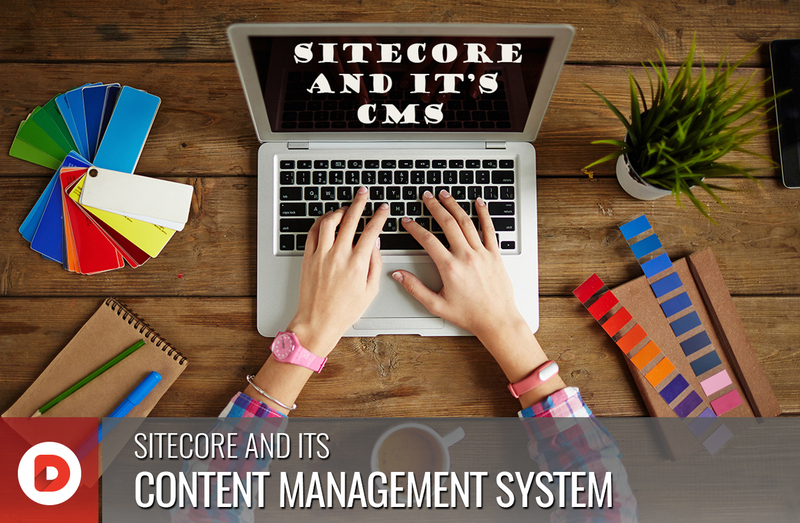 Content Management System is a software application which is used for the creation, editing and maintenance of web content that includes blogs, web pages etc. The CMS is also called WCM – web content management system. The CMS is easily implemented as compared to the other options available. It is known to have a profound architecture with the room for continuous improvements. This CMS also has the option of being integrated with other external platforms such as customer relationship management (CRM), e-commerce etc. The CMS services are used to manage an overall digital experience across different channels such as social media, emails, websites, mobile applications and more. It is highly adaptive and is being used by almost every web agency in Dubai region. Content Management: This helps in creating, editing, posting and managing web content which includes images, text, blogs, videos, audios and so many other features present in a layout. 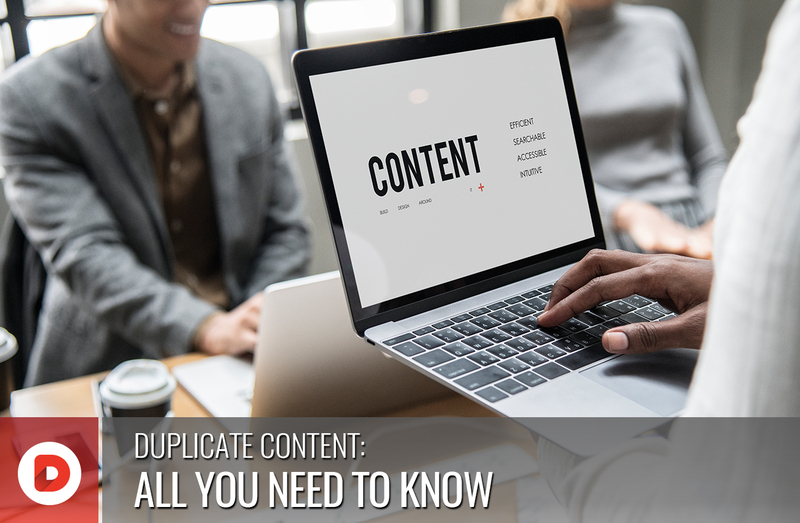 Presentation: You cannot keep altering the formats and presentations of every piece of content with respect to different devices in use. The content management solution will do this for you where you just add the content once and the rest is done automatically for each device it is accessed on. Integration: Integration is about connecting the presentation to a specific target which is your commerce system. Presenting your content without aiming to take it anywhere is a useless effort. Commerce: As discussed earlier, the digital commerce system is where your presentation of content on the website takes you. Your customers are targeted towards this system where they make transactions and gain something productive out of their journey of navigating through the website. Personalization: This content management system has the ability to target a specific type of data to certain kinds of visitors, depending on their specific requirements. Analytics: It helps you analyze the data statistically regarding the visits so that the performance can be evaluated and the ROI can be calculated. Governance: This software tells you if your content is being viewed enough and if the content is useful enough anymore. You can control the changes such as publishing or removing content, making alterations etc. Site-core is a solution to many problems. It is the first and the best choice of every developer. Almost every web agency in Dubai is implementing this software in its operations and creating marvelous designs that are accepted and appreciated all over the world. The CMS offered by this company is based on three databases. Following are the databases, discussed in detail. Core Database: The core database by Site-core deals with membership which is built on ‘The Official Microsoft ASP.NET Site’. This membership allows to handle the settings that a part of the system and look after the configuration of all the applications in the CMS. Core Database is accessible through the CMS and it lets you configure any kind of settings, override standard functionality, build your personalized applications, add buttons and functionality to the ribbon in the editors. Master Database: The master database is the hub of editing, where all the content editing is done. Whenever there is a change made in the content, for instance creation, alteration and deletion, it is always stored in the master database. Even the files that are in the preview mode are stored here. The master database allows the workflow to be enabled and customized. This way different sections of the site can be locked down to certain roles or they go through a translator before going live. Web Database: The content for the web application that goes live is stored in Web database. In this database, there is no content which is a part of the preview mode, in fact it only contains the real-time, live content in it. As soon as the finalized content is published, it is copied in from the master database to the web database. There is a content tree and all the content in the web application is stored in it. The tree includes Content and Media Library which are used by the content editor and the Layout, System and Templates are for the developers and system administrator. Content: The pages and data required for the website are stored in this folder. These items and how they are structured represent the website and its structure. Media Library: The multimedia files can be found in the media library. Layout: This folder contains ASPX layouts for the web applications, which are used for referencing the location of the file in the web application root. The folder contains sub-layouts; ASCX files that represent the widgets etc. that are used for creating a page. The combination of layouts and sub-layouts are combined to build pages. Widgets, however can be reused and swapped by the editors without the developer’s involvement. System: This is where the basic settings for editing the content are stored. For example, if a simple change in language for the web application is required, the change will be saved in this folder. Templates: This folder contains all the templates needed for the site. Templates talk about all the objects and the relevant fields those objects will require. The elements that make CMS stand out from the services offered by the competitors are discussed below. These, in other words are also the benefits of using this software. Cloud: It offers the service of Cloud. Whether you want to host it yourself, give it to an outside party or get Cloud, the licensing model is available for each. The .Net Technology: It was initially released in the year 2001. This was developed on ASP.Net framework. It has proved its productivity and has been providing a robust platform for web application development and an all-purpose desktop since then. Without the need of writing an additional code and implementing MVC programming framework, this ASP.Net framework allows the programmers to create applications that are high traffic and complex in nature. Personalized Content for Each User: This software allows the web developers to personalize web content for the users based on a few parameters. These include personalization rules, workflow and the location of user/device. The personalization rules can be set for individual users and can also be evaluated by keeping a track of the actions and behaviors of different users. The software also has the tendency to personalize content that is available for the users on social media platforms in the form of text, promotions, social media widgets etc. Experience Management for Marketers: You can create a directory of what your visitors want by keeping a track of all kinds of interactions that they make with the content across the channels. This is done by the help of Site-core Experience Profile, which records all the experiences in detail for future reference. The standard package which differentiates CMS from the competitors includes Click-path analysis, A/B testing, deep personalization, segmentation and detailed visitor profiling. Customized Web Application Development: Usually the content management systems require the web application developers to invest extra time in creating a customized web application for a business that asks for one, but with Site-core, it becomes very convenient because of the Web Experience Manager (WXM). This makes it simpler by providing prebuilt and reusable components that expedites the process of creating custom web application development. Customized Products for Mobile Devices: Due to the excessive use of mobile phones, it is impossible to ignore the significance mobile apps hold in today’s world. The web developers tend to keenly focus on this aspect by optimizing the mobile user experience. The device detection module automatically detects the device and then customizes the web content according to the devices. The Geo IP detection locates the user and further personalizes the web content according to the location. The developers also have the benefit of previewing and evaluating the content displayed on the web page, before releasing it so that any loopholes may be fixed before reaching out the market. Component Based Architecture: It is built on a component based architecture, which provides us with loosely coupled independent components. These loosely coupled independent components are best for their re-usability. The re-usability of components is provided at the site level, page level and Site-core instance level for the support of multi-site and multitenant sites. The components are split into layers such as presentation, business logic, data layer and more. The presentation components include layouts, sub-layouts, web control renderings, MVC renderings and placeholders. The logical grouping of components is done by their templates, renderings, devices, sub-layouts, content items, media, layouts etc. Multi-Lingual Support: It gives a benefit of creating content that can translated in a number of languages. This language feature is available on the field, item and template level. It also supports chained fallback. Caching: Caching holds great significance in the website performance. There are multiple levels of caching such as pre-fetch cache, data cache, item cache and HTML cache. Apart from these, there is more caching such as standard values cache, filtered item cache, registry cache, media cache, user cache, proxy cache, Access Result cache and more. Site-core is accepted and used vastly in Dubai. It is a global leader when it comes to experience management. The companies are offering their services to the clients, by providing world-class consultants and developers who work with this software and create great projects that have turned into huge successes. This software has been trusted by the great global organizations such as Nestle, easyJet and American Express. This helps you in learning and analyzing the behaviors of individual users with respect to their online choices, buying habits etc. It also gives you a detailed history regarding the online behaviors including inquiries, bookings, purchases, searches etc. The web development agencies operating in Dubai are implementing Site-core in the work they do and with the help of its built-in CRM integration tools, the agencies are enjoying the power to save and also analyze the customer experience data and insights regarding sales. These insights are helping the agencies to create sales conversations with the customers which are personal and relevant for the boom in future sales. 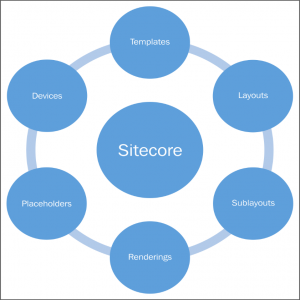 Site-core is a digital experience software which is globally used by a large number of organizations. It combines web content management with marketing automation, e-mail marketing, social media, e-commerce, optimization and analytics into a single and unified platform. 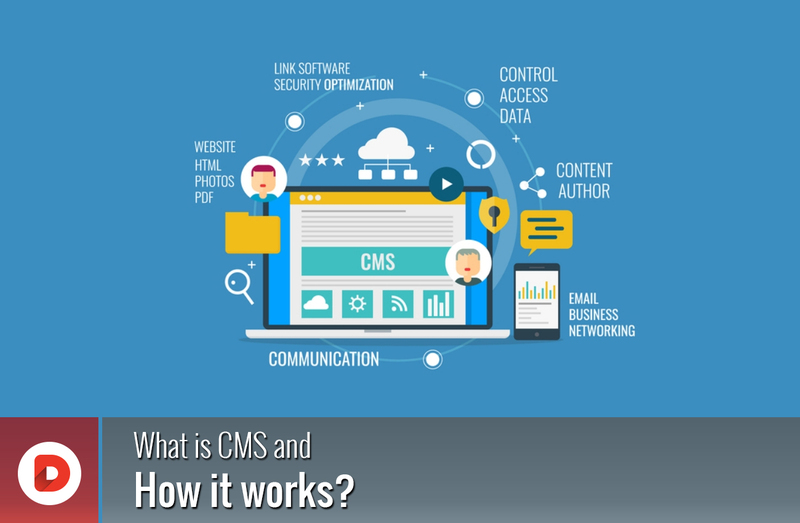 What is CMS and how it works?